In a series of lectures and performances created during the last five years, Berlin performance duo Chris Kondek and Christiane Kühl have been investigating the theatrical aspects of our new digital environments. It is therefore only natural that Estonia, and its digital doppelgänger e-Estonia should be the site of their next work, Distinguishing Marks. 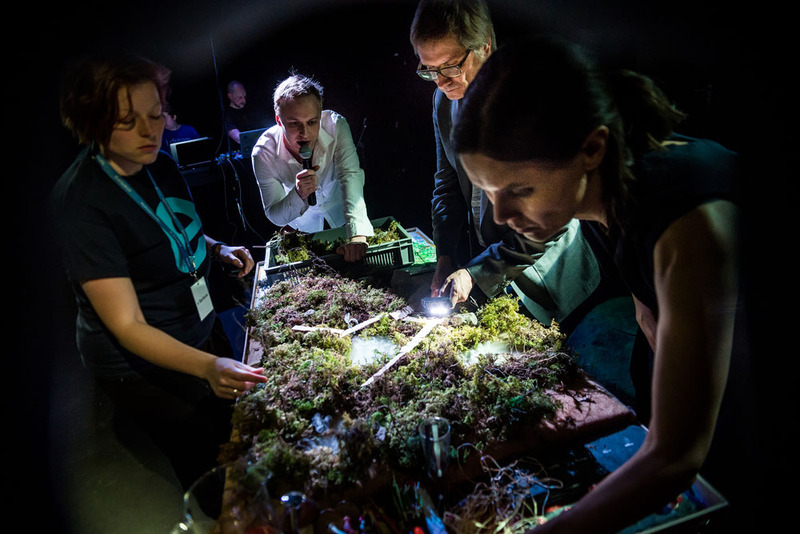 Working together with a team of Estonian Artists , Kondek and Kühl have been in Estonia researching the spookier sides of e-society; from the birth of the digital in the timeless Estonian swamps to the mysterious existence of something called The Invisible E-State. They will present the dark results of their research in a performance using a rich mixture of methods, videos, sounds, presentation styles and analogue apps. The performance will be woven around the nearly true stories of a failed e-Resident Entrepreneur and a lost and lonely traveller careening out of control on the mythical x-road. E-Estonia is, as the branding tells us, the place where the Future Is Now. But what kind of future is this exactly? And if it is already happening today, what is to expect from tomorrow? By and with: Piret Jaaks, Taved Jansen, Helen Kask, Chris Kondek, Christiane Kühl, Roland Laos, Barbara Lehtna. Production Management: Tiiu Tamm. Coproduction Vaba Lava and doublelucky productions. With the generous support of the Goethe Institute Tallinn and Theatre Expanded / The ERAF Central Baltic Programme 2014-2020. Performances on May 22nd, 23rd, 24th, 25th, 27th, 2017 at Vaba Lava in Tallinn and on May 28th, 2017 at the Estonian National Museum in Tartu.